A The Bellaband basic is a simplified maternity band designed to hold up unbuttoned pants and loose maternity wear. Means that you can wear your unbuttoned pre-pregnancy pants longer (and no person has to know) Works from early pregnancy to after baby arrives Soft, seamless knit construction with 360° stretch Recovers to original shape after washing? 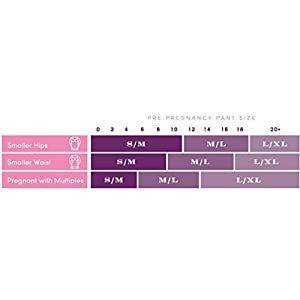 Folded over conceals unbuttoned pants best Pulled up supports a larger belly One size will have to last you right through your whole pregnancy 79% nylon / 21% spandex. Machine wash warm. Gentle cycle with like colors. Only non-chlorine bleach when needed. Tumble dry low. Do not iron. This 1oz jar is just the correct quantity for a mom to check it out so she knows how much she will enjoy the product. 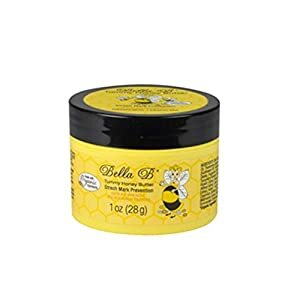 Thick oil-based formula that penetrates deep into the skin layers Maintains skin moisture and relieves itchiness for several hours Mild natural cocoa butter scent Accommodates:Cocoa & Shea Butters Vitamins D & E avacado seseme almond & olive oils & aloe vera gel.